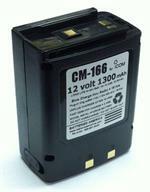 CM-166xi: 12 volt 1500mAh Ni-MH replacement insert for CM-166. Goes inside original CM-166 battery pack. Restores and upgrades original battery. Some solder connections required. For your IC-A22, IC-A3 aircraft radio. Aka BP-166xi. 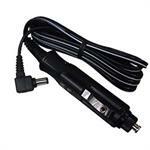 IC-CP : DC Power & Charge cord for ICOM & BENDIX-KING radios, etc. One end plugs into radio; has coiled cord; other end plugs into 12-13.8VDC socket. Powers radio; can also slow-charge an attached battery when radio is turned off and socket is live. WC-166 : Plug-in overnight wall charger for CM-166 style battery packs (for ICOM A-22, A-3 radios). The WC-166 is a plug-in overnight wall charger for CM-166 type battery packs. Plug into wall outlet 110-120VAC; output is regulated DC for plugging directly into jack on CM-166 battery. The WC-166 charges the battery pack overnight. 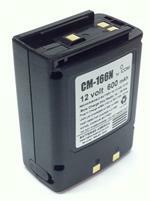 CM-166N : 12 volt 600mAh rechargeable Ni-Cad battery pack for ICOM IC-A22 & IC-A3 radios. Replaces original CM-166. EMS-166 : Desktop Rapid-Smart Charger for ICOM-style CM-166 Ni-Cd & Ni-MH battery packs (12V). Smart-Charges battery alone, OR with Radio attached. Charges battery in 1 - 3 hours, with automatic shut-off. CM-166: 12volt 1300mAh long-life Ni-MH rechargeable battery for ICOM IC-A22 & IC-A3 radios. CM-166: 12 volt 1300mAh rechargeable LONG LIFE Ni-MH battery for ICOM IC-A22 & IC-A3 radios. Replaces ICOM CM-166.